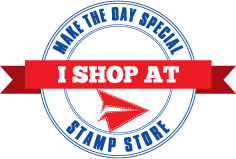 Make The Day Special Stamp Store Blog: Tons of Christmassy Thanks! Thanks to Lydia kindly swapping with me, you've got me today instead! If you've come to see Lydia, just check back to Tuesday! I had the little scene in my mind and so used one of the presents from the Tons of Fun set as the base for my tree. 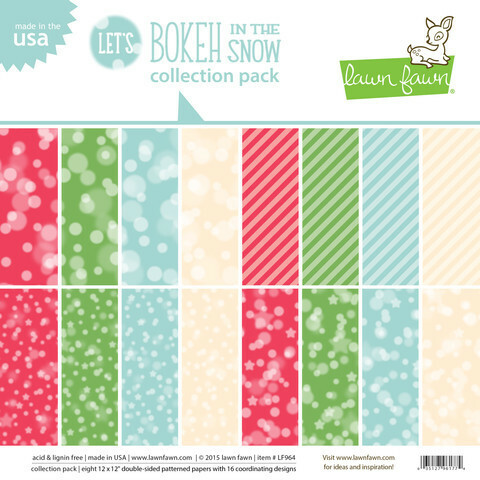 I used this fab Lawn Fawn paper pack 'Let's Bokeh in the Snow'. Usefully, the paper makes it look like the Christmas tree has lights on- so even better! I simply cut out a simple tree shape, added foam pads underneath it and then added it to the card. Using the socks from the other set, I coloured them, added a white embossed star on each one and placed them on the tree. I even cut into Ellie's trunk so she could hold one of the socks in her trunk which just gave a little bit of cohesion to the scene. I chickened out with the sentiment. Yes, I was wanting to say thanks and this card will come in handy for saying Thankyou after Christmas, but I stamped on a piece of spare cardstock whilst deciding where the sentiment was going to go and then worried I'd mis-stamp it so just adhered the sentiment onto the card! (a handy tip for newbie stampers...and old-hands too!). 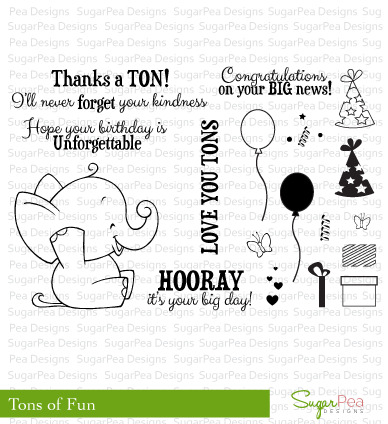 Love this cute little elephant card! !